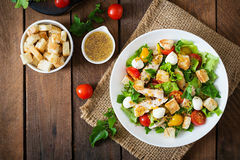 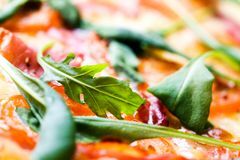 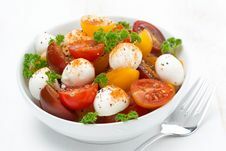 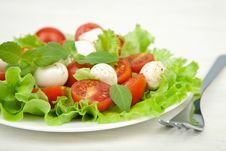 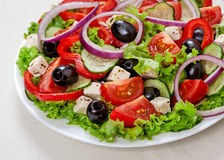 Salad with tomatoes and mozzarella cheese. 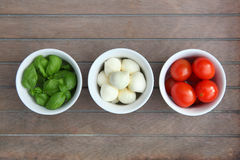 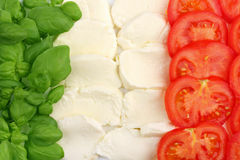 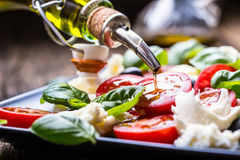 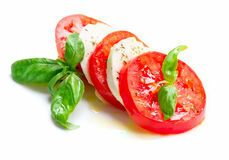 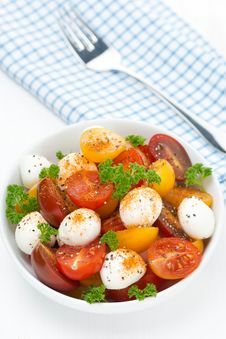 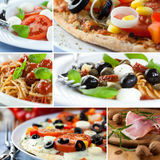 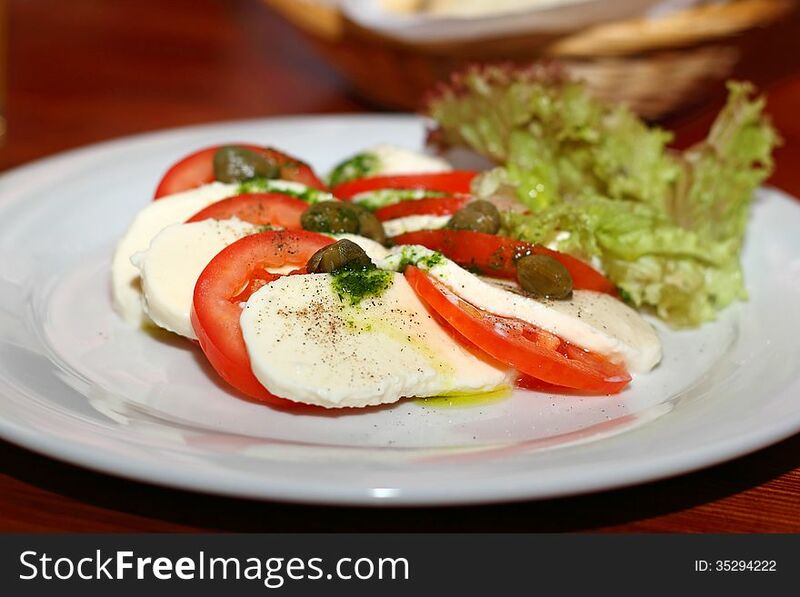 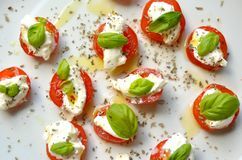 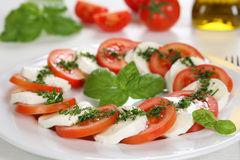 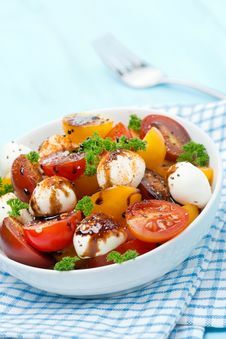 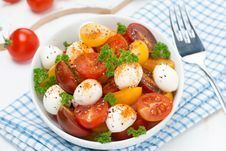 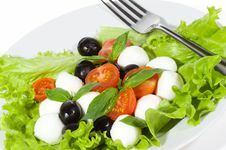 Caprese salad with tomatoes, mozzarella cheese and olives. 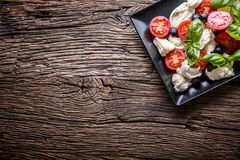 Focus on the front slice of cheese.